Tien Phong Commercial Joint Stock Bank (TPBank) is the first bank in Vietnam to allow cash withdrawals using a QR Code at both its ATMs and Livebank service without needing a card. TPBank said on November 5 that it had completed an update allowing cash withdrawals by QR Code. To use the function, customers need to download QuickPay for iPhone or Android phones, then connect their bank account to QuickPay. The bank said cash withdrawals by QR Code provide safety, speed and convenience to customers. 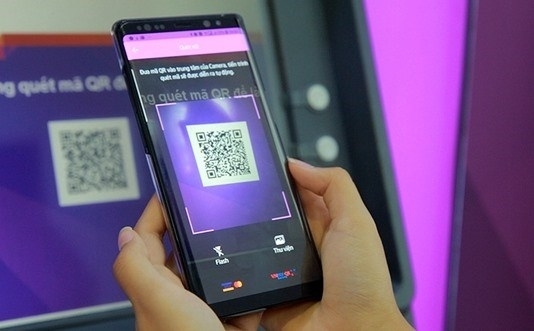 In addition to cash withdrawals, the bank’s QR Code could be also used for payment at thousands of shops or vending machines nationwide. Previously, TPBank was one of the first banks in the country to complete the issuance of domestic chip cards with integrated contactless payment features based on the domestic chip standard of the State Bank of Vietnam (SBV). This increases security as Vietnam has become a focal point of data theft because most domestic cards in the country are magnetic cards that can be copied easily.